Dr. Wagner and his wife have been married for 16 years. During this time, they have been blessed with four daughters. As a family physician and parent, he understands the anxieties that many families feel and is sensitive to the special medical needs of your family. Born and raised in Shiner, Texas, Dr. Wagner was happy to move back home where his practice has been for the past seven years. In addition to his deep commitment to family, he is active in his church. Dr. Wagner has also spent much of his time dedicated to the local school. Dr. “Tim” enjoys staying physically fit by jogging and playing basketball. In his spare time, he enjoys hunting and fishing. 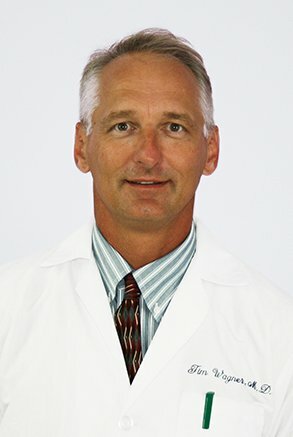 Timothy Wagner, M.D. has a special way of making his patients feel right at home and he always welcomes new patients.